You’ve heard of food halls and food parks, but we don’t think you’ve ever heard of one that lets you eat until you can’t. The Alley by Vikings is meant to be just that: A street-inspired joint with a whopping 15 specialty food concepts all in the same hall. 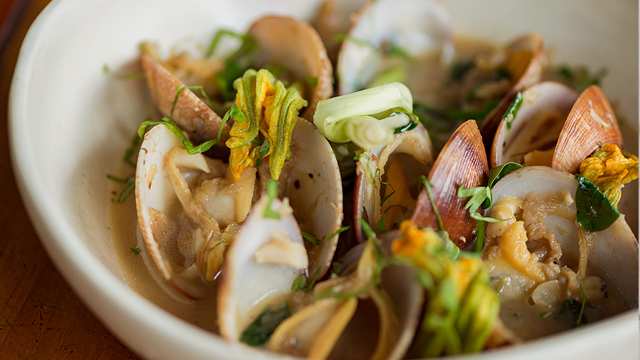 You’ve got your pick from American burgers and pizzas and Chinese dim sum, to Italian pasta and salad, and so, so much more. The Alley by Vikings is at 2/F Phase 2, UP Town Center, Ayala Mall, Katipunan Avenue, Central Diliman, Quezon City. 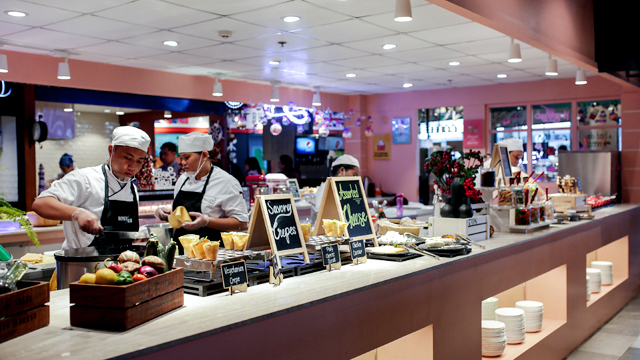 We’re not kidding when we say the food neighborhood of Kapitolyo has it all, buffet spots included. 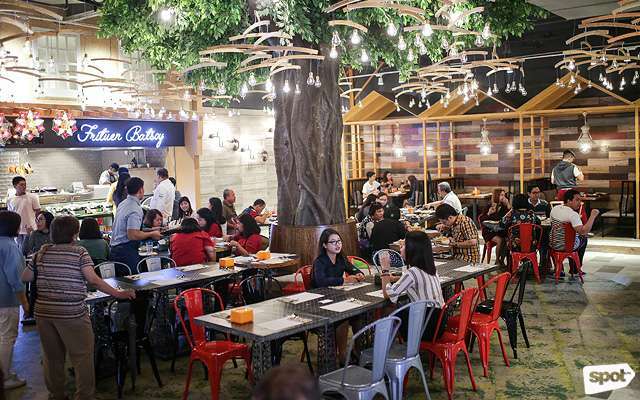 Bistro United has countless irresistible dishes to keep you coming back for more—almost literally because their buffet theme changes every day, so there’s always something new to discover. Here’s a quick cheat sheet: For just P375, you can take part of one of their Pinoy Food Revival Tuesdays, Spanish Affair Wednesdays, The Great Asian Invasion Thursdays, Cheat Day Fridays, and Freestyle Weekends. Another brainchild of the Vikings group, Four Seasons is a new concept buffet that’s shining the spotlight on fresh and healthy ingredients that you can mix together in one steaming do-it-yourself pot of soup. Toss your favorite veggies and proteins into your chosen broth and soup paste, then wait for the magic to happen! And if you’re looking for other dishes to pair with your hotpot, you’ll be delighted to find that Four Seasons also serves many dishes from their original Vikings menu. You don’t need a membership to join this club. 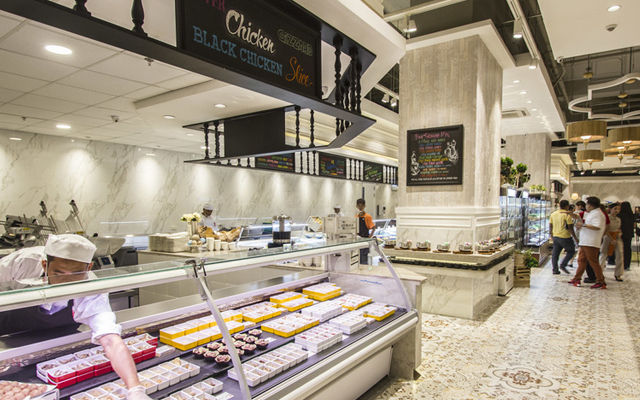 The Food Club dedicates itself to being a one-stop shop that brings the best of all your favorite cuisines under one roof, without any frills. The place has got huge stations that are all just waiting to be explored—each dedicated to Western or Asian cuisines, and a bar for refreshing drinks and indulgent desserts. Plus, you can see some kitchen action happening at each station, so you don’t just get fresh dishes but even a live cooking show to go with the experience. Sweet Inspirations is one of the longest-running establishments you’ll find at the bustling foodie strip that is Katipunan Avenue. If you haven’t paid a visit to any of their branches yet, we think this might persuade you: Their Create-All-You-Can Mongolian Rice Bowls! Only at P380, you can get unlimited access to their house-specialty Mongolian bar brimming with hot and fresh ingredients, which makes for a perfect, filling treat without burning a hole in your wallet. Sweet Inspirations has branches at 3/F Hemady Square Building, E. Rodriquez Sr., Quezon City; and 311 Katipunan Avenue, Loyola Heights, Quezon City. 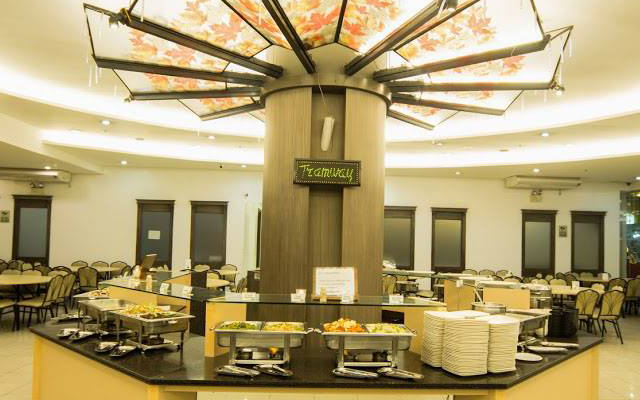 Tramway started out as a Cantonese tea house in Banawe, but it’s since expanded to become an all-you-can-eat Chinese, Japanese, and Filipino buffet restaurant, serving up sweet deals on their unlimited Asian dishes that can satisfy the biggest of cravings. Take your pick from their perfectly steamed dim sum, mouthwatering sushi, fried rice, and a whole lot more (or, you know, you can always try a little bit of everything off the menu!). Either way, no matter how much you take, for just under P300, this buffet already goes a long way. See a list of Tramway branches. 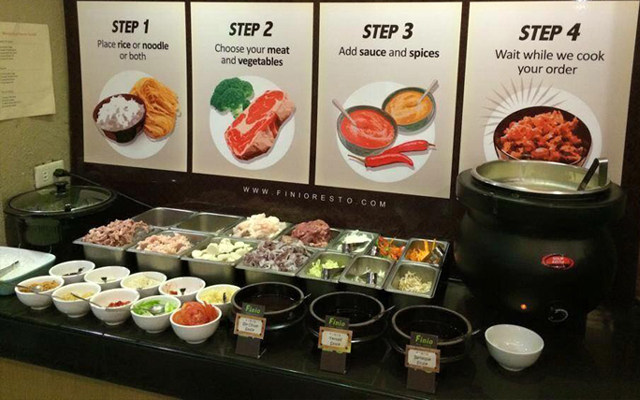 When you’re looking to feast like a king morning, noon, or night, Finio’s got you covered. 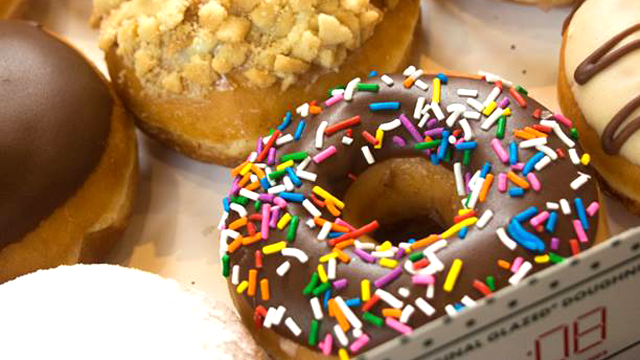 It’s not every day you run into a buffet restaurant that’s open from 6:30 in the morning, so early birds looking to chow down an all-you-can-eat breakfast treat can always get their fix here—bottomless coffee included! And if you’re coming in later in the day, you’ll be thrilled to discover they’ve also got unlimited crispy pata just waiting to be devoured. 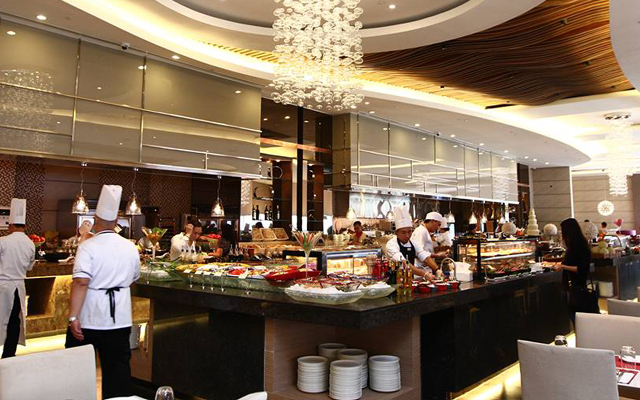 There’s even a Mongolian bar during their dinner buffet, so no matter what time of day you visit, there’s always something special to hit all the right notes. Finio is at 220 Tomas Morato Avenue, Quezon City. If your palate is constantly on the lookout for Filipino-Spanish cuisine, look no further than Quezon Buffet Restaurant—they’re dedicated to bringing out the best of both worlds. Serving up well-loved classic dishes from all around Spain and the Philippines like paella, sisig, and even boneless lechon belly, this buffet will have you chowing down like there’s no tomorrow. 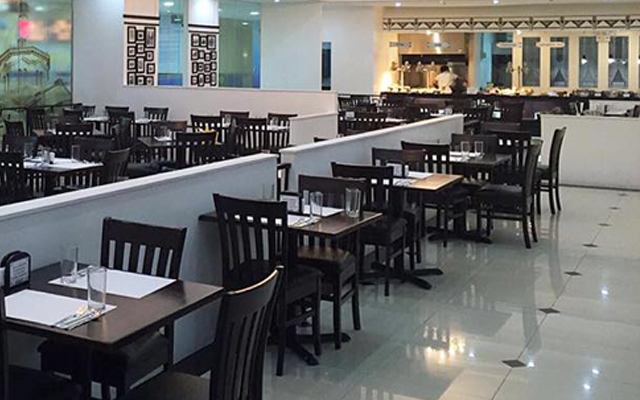 Quezon Buffet Restaurant is at 2/F, Fisher Mall, Quezon Avenue corner Roosevelt Avenue, Quezon City. Raise your hand if you can’t get enough of Japanese food! 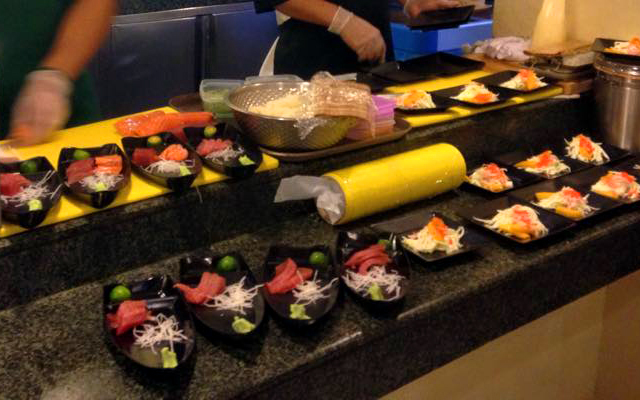 Here at Zensho, you’ll be sure to get your fill because this buffet in the middle of Tomas Morato boasts an all-you-can-eat Japanese feast! 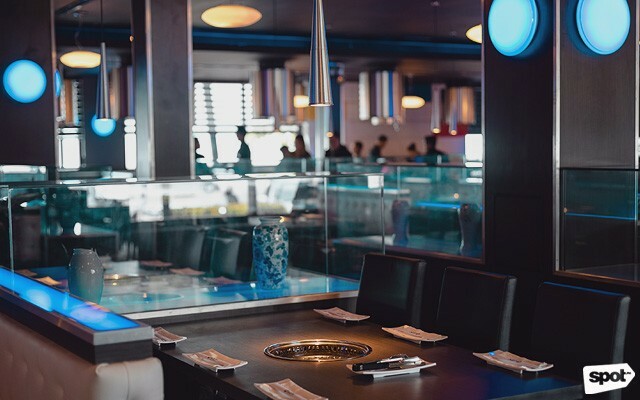 They have an assortment of sushi, teriyaki and curry meals, and even teppanyaki—just name it, Zensho probably has it. We’re particularly drooling at the thought of getting some unlimited fried rice and udon. 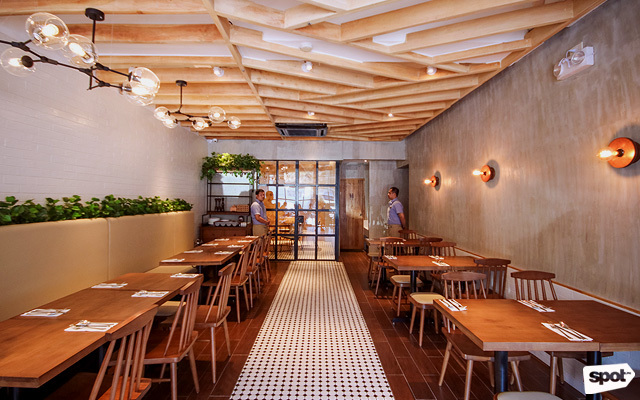 And while you’re there, don’t miss their house specialties: Their salmon and oyster motoyaki (baked seafood served in oyster shells). Zensho is at 168 Tomas Morato, Quezon City. Ever since Gen Korean BBQ House opened their enormous first branch here in the Philippines last year, we can’t get enough of their tasty Korean-barbecue specialties—like Chadol and Samgyupsal—that make us feel like we’re in the middle of our favorite K-drama. Each plate that comes to your table will already have your mouth watering, even before you get to grilling and seasoning your choice cuts. And because this Korean buffet has just about every type of cut you can think of, you’ll be sure to come out of every visit with a very happy tummy. 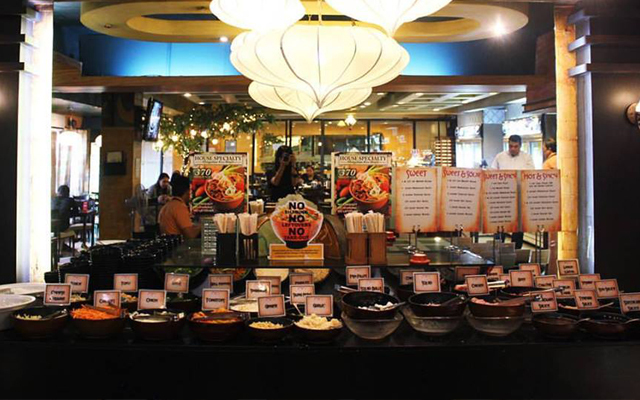 Gen Korean BBQ House is at Building J, Unit 1-16, SM By the Bay, Seaside Boulevard, Mall of Asia Complex, Pasay City.